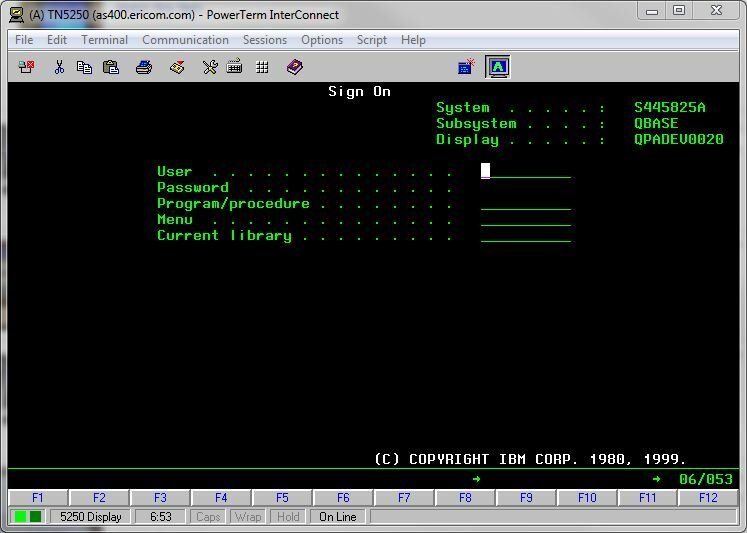 PowerTerm InterConnect is a terminal emulator for Win, maximizes the capabilities of legacy systems w/minimal amount of installation time & software space. PowerTerm supports a wide range of hosts, such as IBM Mainframe (zSeries), IBM AS/400 (iSeries), OpenVMS, UNIX, & a diverse range of emulators types. With its small footprint; PowerTerm is easily installable on any PC, making it a simple and fast solution for running legacy apps. Qweas is providing links to PowerTerm InterConnect 9.2 as a courtesy, and makes no representations regarding PowerTerm InterConnect or any other applications or any information related thereto. Any questions, complaints or claims regarding this application PowerTerm InterConnect 9.2 must be directed to the appropriate software vendor. You may click the publisher link of PowerTerm InterConnect on the top of this page to get more details about the vendor.